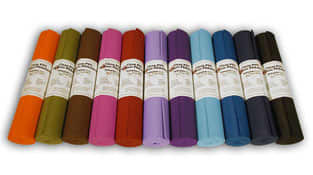 CleanPVC Yoga Mat. Eco-Friendlier. 24"x72"x1/4". Many colors. The CleanPVC eco yoga mat is made with no heavy metals and no phthalates, making them a particularly environmentally friendly yoga mat at a great price. This is a 1/4" thick yoga mat that enables comfortable yoga practice by providing cushion for your knees, ankles and other sensitive bones. Practice yoga and feel good about helping the environment, while also spending less than half of what many other eco yoga mats cost. Clean PVC, closed-cell vinyl containing no phthalates or heavy metals! New and improved version of the original yoga "Monster Mat"
Provides a thick, textured surface for extra stickiness and grip. Textured traction surface on both sides (usable on both sides). Embedded fabric mesh provides more durability. (100% latex free). Thickness: 1/4" (6.3 mm) - thick yoga mat provides added comfort. Available in: Olive, Red, Black, Royal Blue, Light Blue, Purple, Pink, Light Purple, Orange, Dark Blue, Spruce Green, and Merlot. 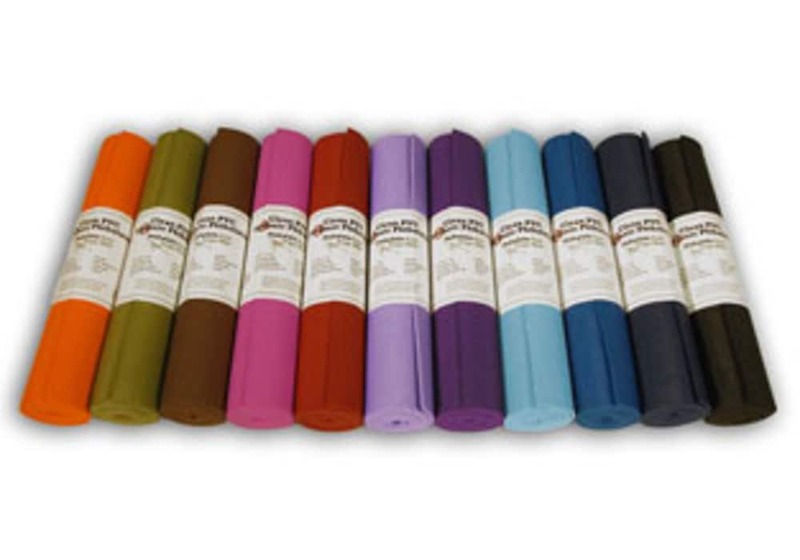 Also available is our shorter and thinner CleanPVC eco yoga mat.